Classic Piece with a Twist! 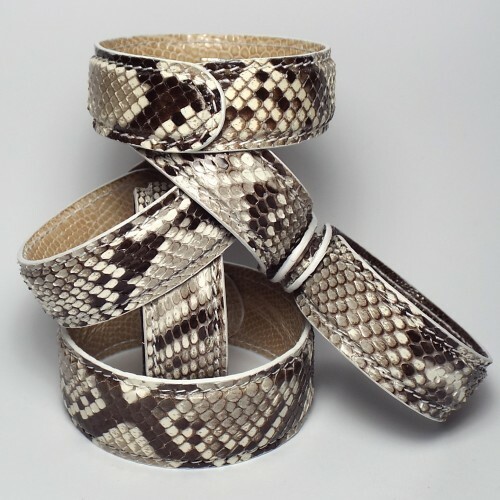 These beautiful bracelets are covered in classic tan ostrich skin, are lined with sea snake skin, and are embossed with ‘MMzS’. 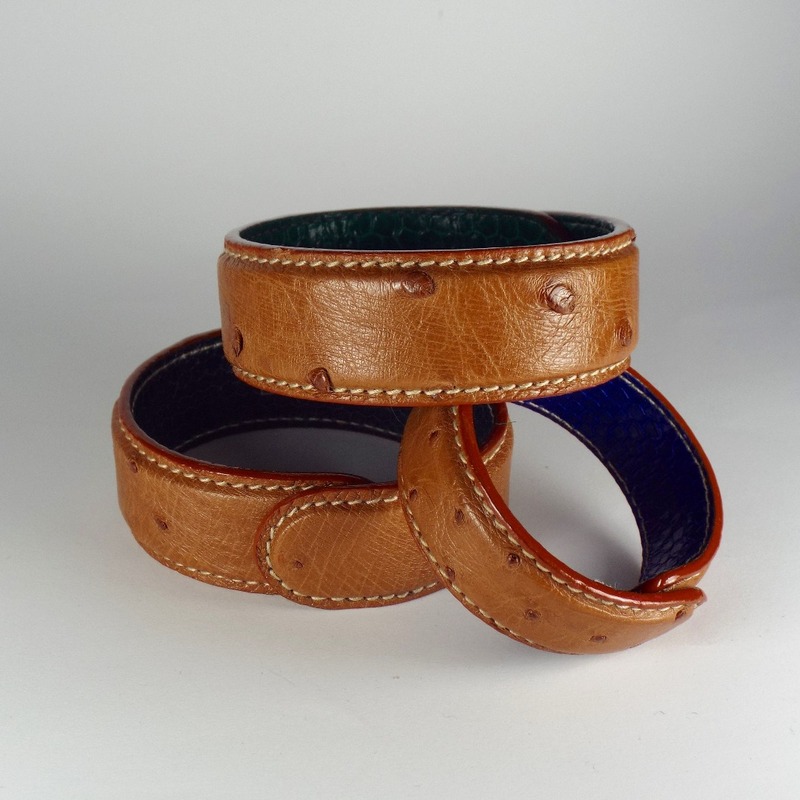 The bracelets are incredibly easy to open, close and wear as each end of the bracelet has a magnet hidden in between the layers of leather that keep the bracelet securely in place. The bracelets come in two sizes in terms of width and diameter. The narrow ones go very well with a daytime outfit by itself or as part of a bracelet stack. The wider one is perfect to go with an oversized top – or to accessorise a kaftan poolside. Material: outside and inside ostrich skin.